Sir Edmund Hillary, New Zealand’s most famous mountaineer, and Tenzing Norgay were the first to climb Mt Everest. 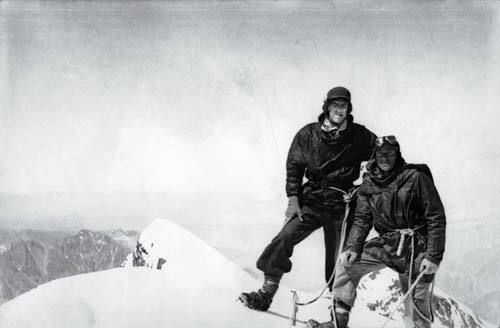 Here Hillary (left) is on the summit of Aoraki/Mt Cook on 30 January 1947, early in his career. His companion, Harry Ayres, was a professional guide in the Aoraki/Mt Cook region, and regarded as the finest climber in New Zealand. Hillary said later that he had learnt a great deal from Ayres.